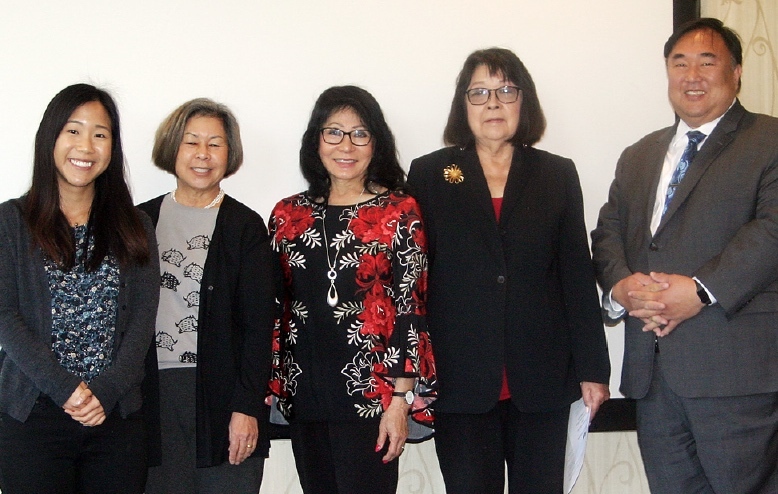 Nanka Yamaguchi Kenjinkai’s 2019 officers (from left): Laura Lee, corresponding secretary; Naomi Suenaka, treasurer; Aki Fukuhara-Vaughn, recording secretary; Florence Ochi, vice president; Arturo Yoshimoto, president. 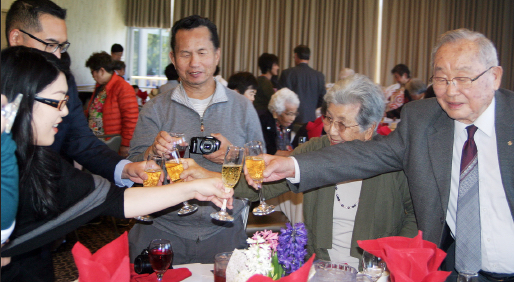 MONTEBELLO — The Nanka Yamaguchi Kenjinkai remembered past president Richard Fukuhara at its general meeting and New Year’s luncheon on Feb. 24 at the Quiet Cannon in Montebello. Fukuhara passed away on Dec. 4 at the age of 74. His sister, Recording Secretary Aki Fukuhara-Vaughn, called for a silent tribute to him as well as other kenjinkai members who have died over the past year: Ruby Okinaka, Hiroshi Igawa, Yoshinobu Ono, Toshii Osaka, and most recently Dennis Nakamura. 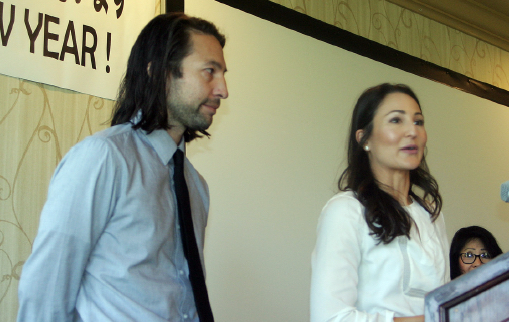 Julie Fukuhara, joined by her brother Derek, shared memories of their father, Richard Fukuhara. Daughter Julie Fukuhara, joined by her brother Derek, spoke briefly. “My brother and I have been coming to New Year’s and the picnics since … we can’t even remember how little we were. So this organization has meant a lot to us and my father always wanted to instill a good sense of culture, tradition, and community with us. I know he loved this organization so much and developed so many friendships with all of you, and just really embraced the kenjinkai. Richard Fukuhara at the 2018 Shinnenkai. Vice President Florence Ochi recalled, “After the shocking and sudden passing of our president, Richard Fukuhara, I was pressed into the job as acting president. However, that didn’t last too long because we had an election of officers … I didn’t get to serve with Richard very long, only a year, but I admired him for all the amazing energy that he had and all the organizations that he was a part of. 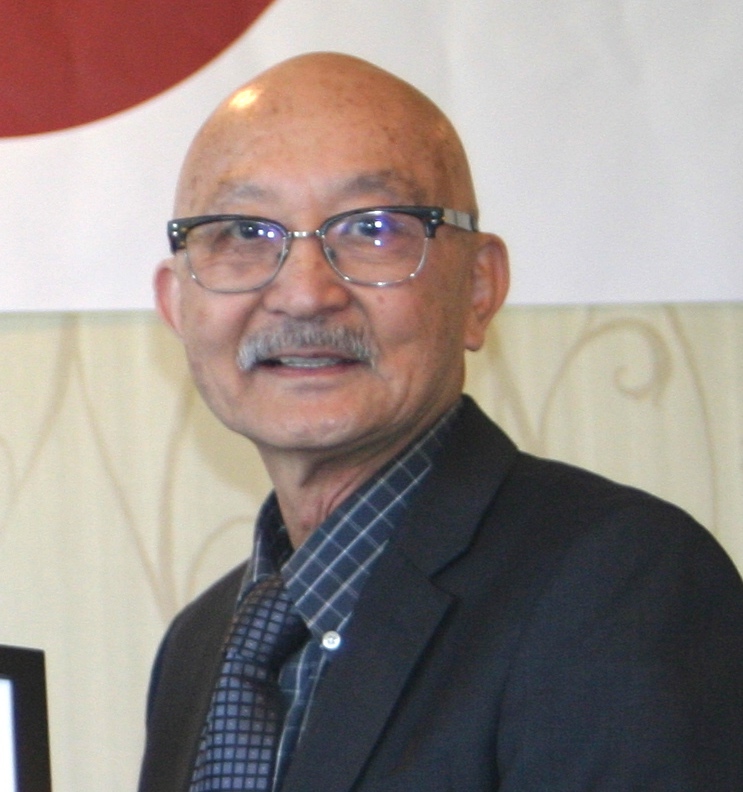 In addition to Fukuhara-Vaughn and Ochi, the 2019 officers are Arturo Yoshimoto, president; Laura Lee, corresponding secretary; and Naomi Suenaka, treasurer, who gave a financial report. Members 80 and older were recognized. Patrick Seki led the New Year’s toast and Arlene Nakamura gave the invocation. Lee, who worked as a coordinator for international relations for Yamaguchi Prefecture through the JET (Japan Exchange and Teaching) program, gave a slide presentation on “Life in Yamaguchi.” A daughter of immigrants from Taiwan and a graduate of UC Santa Barbara, Lee said she first got into Japanese culture through anime. While the majority of JET participants work as assistant language teachers, Lee chose to work for the prefectural government along with colleagues from South Korea, China and Spain. In addition to school visits, her duties included handling correspondence from kenjinkai in other countries and showing them around when they visited Japan. She and a co-worker also served as models in an ad campaign promoting cycling in Yamaguchi. Everyone drank a toast to the Year of the Boar. Lee helped out at the fourth Yamaguchi Kenjinkai World Grand Meeting, held in Los Angeles in 2015, and hopes to attend the next one in 2020 in Yamaguchi. 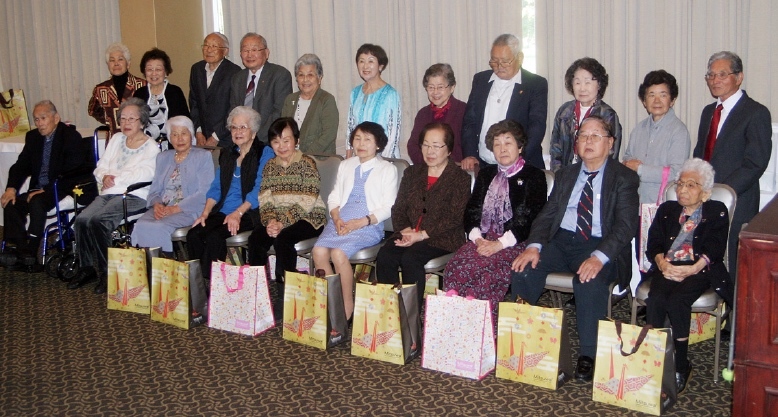 Suenaka recognized kenjinkai members 80 and older, who posed for a group photo. Nakamura discussed the scholarship program, and two past recipients, Clark Yoshida and Julie Fukuhara, talked about how they benefited from it. The event also included bingo and door prizes.